Double British Supersport Champion and multiple MCE British Superbike and Macau GP race winner Stuart Easton has announced his retirement from racing. The diminutive Scotsman, who turned 33 this year, has opted to hang up his leathers up to spend more time with his family after a difficult season in the MCE British Superbike Championship. Easton enjoyed a colourful racing career spanning some 18 years on track. He won his debut British Supersport Championship with Paul Bird Motorsport in 2002, a feat he’d later repeat 11 years later with Mar-Train Yamaha. His most successful year in the British Superbike class came in 2009, where he finished third in the series for Shaun Muir’s Hydrex Honda squad taking two wins and a flurry of podium finishes. He returned to the BSB top step once more in his career with a stunning victory at Oulton Park in 2015. However, Easton endured a career blighted by injury. A horrific crash at the North West 200 in 2011 saw him fighting for his life, but he would soon be back on the grid and racing competitively once again, joining Shane Byrne in the Rapid Solicitors Kawasaki team in BSB for 2012. Returning to the podium for the first time at Oulton Park that year, it was clear Easton was keen to continue his career. 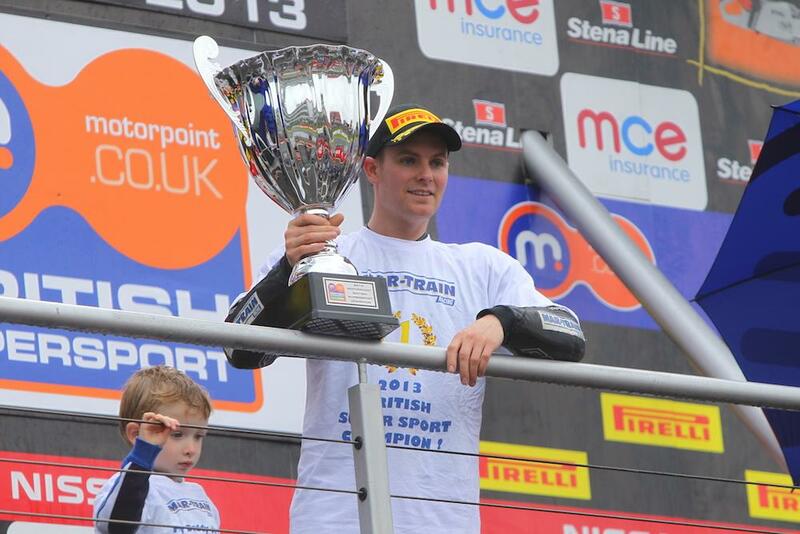 Stepping back to the British Supersport class in 2013, he would go on to take his second British title. Heading back to BSB for 2014, Easton would be crowned Rides’ Cup Champion at the end of the year for finishing the best-placed Showdown rider. 2015 looked to be a promising year for the Scot as he clinched a podium in the opening round of the BSB at Donington Park before taking a surprise win at Oulton and two second places at his home round of Knockhill. However, his season was soon cut short after a fast crash at Brands Hatch left him with a fractured leg. He signed for Tommy Hill’s new ePayMe Yamaha team at the start of the 2016 season but parted company with the squad mid-way through the year. He then raced three rounds with MotoRapido Ducati before deciding to sit out the rest of the year. A master of the Giua circuit, where to this day he remains lap record holder, Easton also took four Grand Prix victories during his career. "I would just like to say thank you to everyone for all of the messages and well wishes," Easton said. "I also would like to thank everyone who has made all of the achievements during my career possible and have supported my racing. That includes all of the fans, sponsors, teams, and of course the marshals and medics who have looked after me a few times too!" Speaking of the news, MCE BSB boss Stuart Higgs said: "Stuart has been an established part of the British Championship for 15 years. On his day one of the most immaculate riders around, emulating his fellow Scot the much missed Steve Hislop. "His recovery from life and career threatening injuries demonstrated a toughness often hidden by his introvert personality. His two British Supersport Championship crowns were thoroughly deserved. Good luck for the future, Ratboy!"